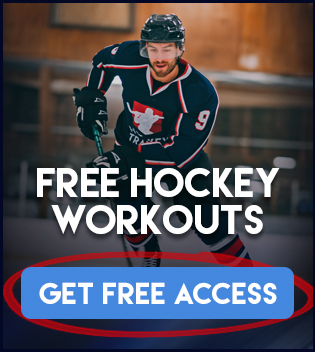 Multiple training sessions (which can include hockey tryouts or camps) within the same day can be a great way to make progress, but this is only true if your recovery is being given the required attention it will need during this time. Otherwise, you can burn out pretty quick. Well, if you’re not fully recovered not only will you not effectively make progress in the gym, but your performance on the ice will suffer as well. Bad news for both short term and long term athletic success! Twice-a-day training has been utilized by athletes of many different sports for progress, often times combining both strength training and conditioning on the same day, or in the case of hockey perhaps some strength work and then some time on the ice later on. These are just a couple variations of which the possibilities could be endless including activity of all types with varying degrees of training volume, intensity and frequency. Hockey camps and tryouts on the other hand often times incorporate a combination of on-ice skill work, scrimmaging, off-ice fitness testing and various other evaluations. On top of this, depending on how far you make it this can last over a week easily. Your #1 focus during this time frame has got to be performance, no matter what. 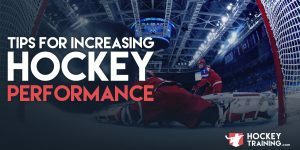 Understanding the energy system demands of hockey performance and properly fueling ourselves for the sport, we know that carbohydrates are going to not only improve performance but also replace energy that was effectively burned during physical activity. This is very important to care about because the #1 fatigue contributor to athletes engaging in multiple day training/activity bouts is substrate depletion. Meaning, athletes notoriously under fuel themselves during times like these and end up getting totally burnt out within a few days. On top of under fueling themselves, they could also stand to make much better sport specific choices in regards to the structure and timing of their meals. If you don’t care, then feel free to move on. But if you want to perform at your best during tryouts and camps and also want to effectively make solid progress during twice-a-day training then carbohydrate timing is something that should be very important to you. Glycogen is the body’s stored form of carbohydrate. It is primarily stored within the muscles and liver of the body, but can also be found in very small amounts of the kidneys. When it comes to hockey, how much glycogen you currently have in storage has a significant effect on your overall performance, time to fatigue, energy and anaerobic capacity. As physical activity continues within a given training session or multiple training sessions throughout the day you can begin to steadily deplete glycogen stores. This depletion is met with a drastic decrease in both mental and physical performance for hockey players. Low levels of glycogen in athletes is one of the most accurate predictors for poor performance in both training and in a game setting. Simply put, the less glycogen hockey athletes have stored within their body prior to physical activity, the higher perception of fatigue they are going to have and the poorer their performance is going to be. So the question is, how do we effectively store glycogen in the body and also prevent its depletion? Let’s start with the first half of that question and discuss the most effective ways in which we can ensure maximal glycogen storage within a given time period. Undoubtedly, the most beneficial time to consume carbohydrates to support recovery and glycogen storage is immediately post-workout upwards to 6hrs post-training. Intense exercise in and of itself stimulate three very important components towards glycogen replenishment. Insulin Sensitivity: Improved insulin sensitivity within the muscle cell quite literally increases the muscle cells sensitivity towards to effects of insulin. Insulin is an anabolic, storage hormone that effectively shuttles nutrients towards the cells of the body. When carbohydrates are available within the bloodstream, insulin increases. Now combine that with heightened insulin sensitivity from training in the muscle cells of the body and you have a recipe for carbohydrate transport from the diet right to your muscle to become glycogen. GLUT-4 Translocation: GLUT-4 is short for glucose transporter 4. Intense exercise translocates this receptor towards the outside of the cell which it then effectively takes in carbohydrates from the bloodstream inside the muscle cell to then become glycogen. This separates itself from insulin sensitivity due to the fact that GLUT-4 translocation improving glycogen storage can occur without the presence of insulin. Glycogen Synthase Upregulation: Intense exercise upregulates glycogen synthase which is an enzyme the body needs in order to effectively convert glucose into glycogen. Without the activation of this enzyme, no glycogen can be created or stored. So what can we draw from all of this? Intense exercise increases insulin sensitivity, GLUT-4 translocation and glycogen synthase activity. This all creates the perfect environment for your muscles to both take in maximal amount of carbohydrates and effectively store them in the form of glycogen. By taking in more glucose during this time frame you will be able to create more glycogen and therefore be more recovered and fueled for your next bout of physical activity. Although, like with many great things in life this type of environment does not last forever and typically decreases its effectiveness after about 4-6hrs once the physical activity is complete. For this reason, it is highly recommended to the athletes reading this partaking multiple times per day training bouts that you consume a high glycemic index carbohydrate + whey protein powder shake immediately post-training, followed up by preferably another 2-3 meals before your next training session. Carbohydrates should be at their highest in the post-workout shake + post-workout meal, and then gradually drop off until your next training bout. Carbohydrate content per meal is variable depending on your size, total training volume and current body composition goals. The typical athlete training 2x per day should consume roughly 2-3g per pound of body weight in carbohydrates per day as an initial starting point and adjust accordingly from there or seek nutritional coaching. High glycemic index carbohydrates (sugars) are highly recommended in the immediate post-workout window as they have been shown in research to replenish glycogen faster and more completely than other forms even when carbohydrate content is controlled for. Hockey players need the quickest recovery possible in between bouts of activity if they are going to effectively perform each and every time. Thus, high G.I. carbohydrates in large quantities are ideal post-workout in the AM so that you can come back strong again in the PM. I want to make it clear here that these lists are not exhaustive “eat only from here” lists, they are just quick recommendations off the top of my head so that you get the idea. It should also be noted that low-intensity exercise will not create this same type of effective glycogen storing environment, you have to have actually put forth a very solid effort in the form of conditioning or resistance training to gain significant increases in insulin sensitivity, GLUT-4 translocation and glycogen synthase upregulation. We’ve learned much about glycogen storage by this point and also some very effective strategies in which to accomplish that. But, how can we help fight this depletion in the first place? Consuming a high glycemic index carbohydrate drink during training provides your body with readily available energy substrates conducive to the energy system demand of hockey that your body can use so it does not have to reach into its own glycogen stores as often. During exercise activity level increases, what your body will do is breakdown both glycogen and muscle tissue in order to feed the energy demand. Depending on the length and intensity of the bout, fat can come into play here as well although hockey players primarily utilize glycogen/glucose. By taking in high glycemic index carbohydrates, you can spare both your body’s glycogen stores and muscle tissue. Put another way, it prevents the breakdown (loss) of your current muscle mass and keeps your glycogen stores in better shape. This results in less muscle damage, less muscle loss, less muscle soreness and increased energy during training. On top of this, carbohydrates elevate insulin levels. This insulin activity will drive carbohydrates towards the working muscles of the body to be utilized for both energy and recovery. Essentially, you’re getting a heck of a jump start on your recovery here. Additionally, protein (or) amino acids and electrolytes should be added to this drink as well to boost performance and hydration. I want to make note again though that both during and immediately post-workout I recommend high glycemic carbohydrates. These carbohydrates metabolize and digest in the body at a much faster rate than other sources. Faster digestion = Faster and more effective recovery. When training once a day this is entirely necessary, but when training twice a day it definitely is. I hope with this blog post I was able to help you guys understand the importance and science of accelerating short-term recovery in between same day training efforts and was able to offer some strategies in which you can incorporate into your daily regime. 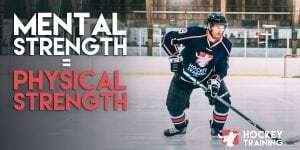 If you want more information on training during the hockey season check out our Hockey Training Programs page. Great blog as always Dan! Your info has sped my recovery and increased my performance, thanks again!